Der Dino are one of the of the founding members of the Bundesliga and have never been relegated but are now staring the dreaded drop in the face. Hamburg, the city which is situated at the head of the funnel-shaped estuary of river Elbe is the second largest city in Germany after Berlin. Despite being Germany's major industrial city and the busiest port, people in Hamburg are also very passionate and proud of their football club, Hamburger Sport-Verein (commonly known as Hamburg SV). The club is one of the most followed and also the most successful in Germany. 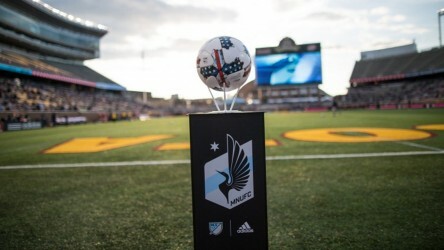 The history and culture of the club speak volumes about its passionate supporters. Yes, a recent football fan will definitely doubt that, asking how Hamburg are more illustrious than rivals like FC Bayern and Borussia Dortmund. But, they know little about the Bundesliga Dinosaurs. 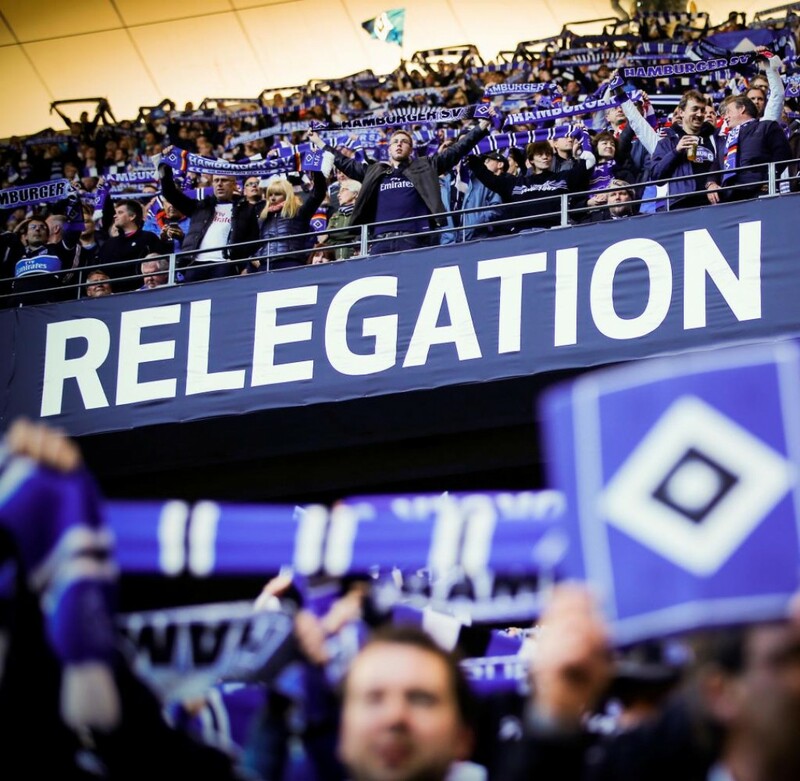 Hamburg is Germany's most successful club because the club has never been relegated from Germany's top division. In addition to the six national championshipss, Der Dinos have also won three DfB Pokals, a Cup Winners' Cup, and even a European Cup back in 1983. But, now the club is flirting with danger once again and its nothing new as this has happened many times in the recent past. But, luck or otherwise the Der Dinos have survived till now. In the northwest corner of the Volksparstadion, a large dial offers a constant reminder of the club's glorious history. it is basically a brag! 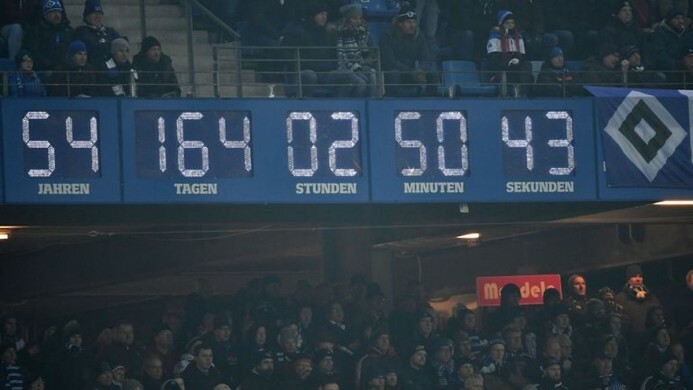 The clock records the time since August 24, 1963, when the Bundesliga was founded and remarkably the club has survived for all the 55 seasons of the league's existence so far, winning it six times. But, for how long will the clock continue to tick? Hamburg's most remarkable period started during the mid-70s, around the same time when Felix Magath arrived at the club. Even though the famous attacking midfielder was just one of many stars that passed through the club in those years, he became synonymous for HSV's golden era. During his decade at the club (1976-1986), HSV won three Bundesliga titles, its second DFB-Pokal and two European trophies: the Cup Winners' Cup in 1977 and a European Cup in 1983. Magath himself scored the winning goal in the European Cup final against Juventus, which HSV win 1-0. The club has flirted with relegation on several occasions, recently in the 2013/14 and 2014/15 seasons. 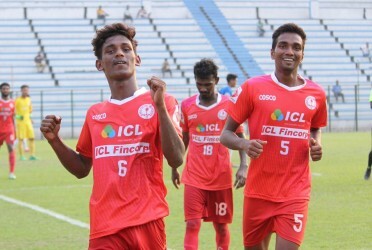 In 2016/17 too, they saved their top flight status on the final day with a win. But, this season may not end like the previous ones. Regardless, the Hamburg supporters never lose hope. They come in numbers to fill up the stands and back their players and all they have faced this season is utter disappointment. Some banners read, " "Never second division" while other banners even warned the players saying "Before the clock comes down we'll chase you through the city." Hamburg are currently rock bottom on the table with 18 points from 27 matches. Die Rothosen are just two points behind FC Koln and there is still a glimmer of hope of at least playing a relegation playoff. So, now the main question arises as to what went wrong at the club? Hamburg have spent quite a handsome amount of money on transfers but still, the club has struggled to find the right balance in the squad. Der Dinos have also changed numerous managers to steady the sinking ship, financial debt and other aspects have also hindered their progress and the club has had to sell some of their best players to survive. Christian Titz became the new manager recently, taking charge from Bernd Hollerbach who was only at the helm of the club from January. That in itself explains their current situation. Lack of continuity in management, staff, and players has haunted them badly. Just to drive home the point, Hamburg have had 12 permanent head coaches in the past seven years. On top of that, the club hardly has any leaders in their ranks. For the money spent their recruitment has been poor to say the least. While they bought badly, they also did not use the resources they already had to their fullest. Young defender Jonathan Tah hardly featured in 20 games for the club before he was allowed to leave for Bayer Leverkusen and there he has flourished as one of the best defenders in the Bundesliga attracting interest from elsewhere. Kerem Demirbay is another such example. He featured in three substitute appearances for the club before leaving for Hoffenheim for the equivalent of peanuts. The midfielder is one of the brightest prospects in Germany currently and Liverpool have shown interest in him. Their current squad has American forward Bobby Wood who is quite inconsistent. Hence there is too much pressure on youngster Jann-Fiete Arp to find the back of the net regularly. Saving his team from the mouth of relegation is exerting too much pressure on a lad who is still in school. 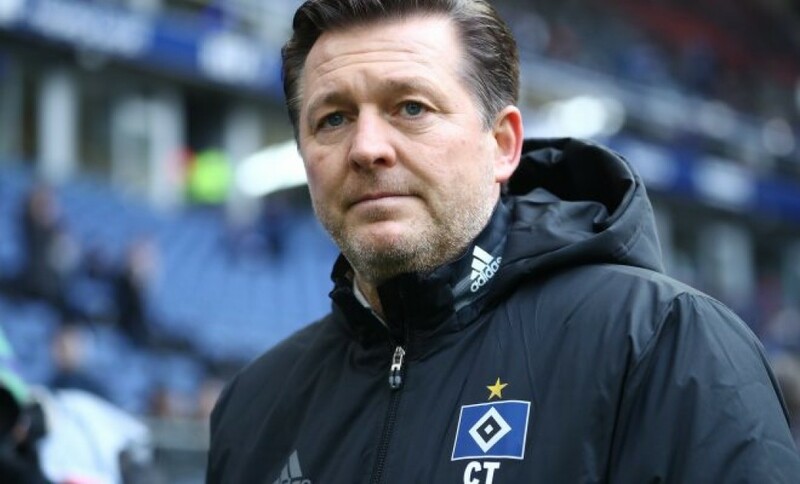 So, the club has now brought in a new manager in Titz and this seems like Hamburg's last throw of the dice to save themselves from the drop. With five games remaining, one may feel that a managerial change is one of the worst things to do. But, once they have a look they will understand that the club's plight can't get any worse. HSV Football AG, the private company and chief sponsor of Hamburg has huge liabilities (close to £90m) and with the recent election, the club officials may also be in danger. As such, being relegated at this time in particular, will be a dusaster for them in more ways than one. The club has flirted with relegation on many occasions in the past, but this time it looks like the famous clock's going to stop ticking. The only thing that the supporters can stay positive of is that the club is in known territory and has avoided the drop every time. Only time will tell whether the Bundesliga's Dinosaurs keep their history intact or whether the clock will stop ticking forever?